Students at Obra D. Tompkins High School (OTHS) enjoy the benefits of highly qualified academic teachers, as well as a wide range of extracurricular activities to expand their knowledge. Dominique (Nikki) Ortiz is a senior who has outstanding motivation, focus, leadership, communication, and passion for service. She is exceptional at interacting with others and creating meaningful relationships and is looking forward to a rewarding future. Ortiz has taken Advanced Placement classes throughout her high school career. 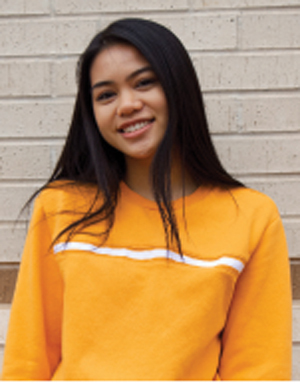 She is a member of the National Honor Society and various culture clubs. Her forte is music, and she is a gifted soloist. Ortiz has been playing violin for seven years and finds the violin very therapeutic. She also plays the guitar, the piano and sings. She is a member of the Sinfonia Orchestra and the Orchestra Leadership Team at Tompkins. Ortiz can make efficient and effective decisions with minimal direction. She has a commendable work ethic and great interpersonal communication. She was presented with the Orchestra Director’s Award and served as an orchestra student leader for three consecutive years. 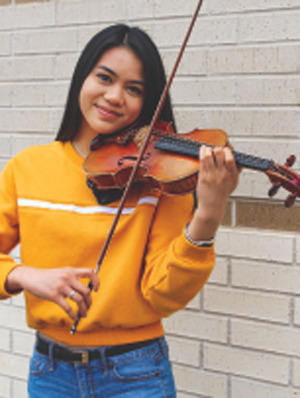 In 2018, her orchestra was chosen by Texas Music Educators Association (TMEA) to be in the Honor String Orchestra. She, as well as her orchestra peers, received Katy ISD School Board Recognition for outstanding talent and achievement. In addition to her commitment to her school, Ortiz volunteers at Houston Methodist West Hospital where she is a part of the leadership team as a program administrator. She also plays violin at Trinity Baptist Church and is occasionally hired by Kingsland Baptist Church to play violin on Sundays. Ortiz is also a private violin instructor for children from ages 7-15. She enjoys watching her students develop a passion for music. She teaches basic techniques, providing developmental repertoire and preparing students for auditions and competitions. This fall, Ortiz will be attending Texas A&M University and will major in pre-med Biochemistry. Congratulations Nikki Ortiz for your undeniable talent and generous spirit. Good luck as you take the next step to an exciting future.